The current University of Cape Town Employment Equity Plan projects that by 2020 the African professor category will increase from 2% to 7% while only 16% of professionally qualified middle management will be African. White professors will constitute 58% and white associate professors will make up 47%. Middle management will be 30% white â€“ a higher percentage than the Coloured, African and Indian categories. Within this dismal framework, the statistics for black female professors are especially bleak. The percentage is projected to shift from 0% to 2% for black full female professors compared to the 22% projection for white female professors. This gap will remain large even in the lecturer and senior lecturer ranks. This plan tells us that by 2020 we will still be facing glaring imbalances, not only in terms of senior academics but also senior management. How do we explain this glacial pace of change, writes THE BLACK ACADEMIC CAUCUS at THE UNIVERSITY OF CAPE TOWN. This case also speaks to the general working conditions that black staff face â€“ one that trivialises our deep discouragement, demoralisation and humiliation. It shows that no matter how hard one works, how much one achieves, how much one sacrifices, none of those exceptional efforts will be recognised, acknowledged, nurtured or respected by the university. We have seen the catastrophic effects of this on the wellbeing of black academics, in other well-known cases, such as that of Archie Mafeje, Mahmood Mamdani, Bongani Mayosi, Archibald Campbell Jordan, Jeff Duma Baqwa and the list goes on. More recently before being installed as VC, Prof Mamokgethi Phakeng ran the public gauntlet of having her academic qualifications questioned. When Prof. Phakeng joined UCT as the DVC (Research and Internationalisation), she was subjected to the vile and undue questioning of her qualifications via mischievous internal and external emails. With a PhD, an NRF B-rating, an international profile, a number of cited publications and major national and international awards, she still faced the condescending scorn of UCTâ€™s institutional racism. Why must qualified black academics always enter institutions under a cloud or continue to work under such demeaning circumstances? These cases show that competent black candidates continue to face prejudice. We can no longer sit back when these things continue to happen, not just at UCT but in institutions of Higher Education in general. It is for these reasons that the BAC recently joined in the court action contesting the appointment process of the DVC Teaching and Learning. The Black Academic Caucus (BAC) does not oppose the appointment of any competent person, appointed in a procedurally fair manner while observing the equity policy. The matter at hand is not merely one of a comparison between eligible candidates but manifests in the institutional racism that persists at UCT. A quick survey of current white senior academics reveals significant unevenness in their academic qualifications. There are dozens who are professors and associate professors earning over R1 million a year without PhDs or a recognisable national or international profile. Even the selection process through which Dr Max Price became the Vice Chancellor was questionable. Lebogang Hoveka revealed that the process was manipulated to appoint the â€œwoefully underqualifiedâ€ Price. In response to the BAC outcry, Price, then Vice Chancellor at UCT addressed â€œthe specific question of transformationâ€ as â€œan issue raised by dissenters in Senate.â€ This issue is not about individual antagonisms but rather it is about fair procedure based on established policy. Priceâ€™s assertion that there was an â€œespecially rigorous process in the selection of candidates to senior leadership postsâ€ is a characteristic distortion of reality. the same constituencies represented in the selection committee, ratified the process as part of the Institutional Forum. Furthermore, when Prof. Ramugondo made an enquiry about why she was deemed â€œunappointableâ€, she was told that it was because she was not yet a full professor. Prof. Ramugondo is now a full professor while Associate Professor Lis Lange was at the time an Adjunct Professor and gained the current status as a result of the UCT appointment. For a leadership post in Teaching and Learning, one would assume that an academic track record would be foremost in the selection criteria. The appointed University Selection Committee, for Executive positions, always invites nominations for eligible candidates from the university community and proceeds to contact those candidates to invite them to apply, or otherwise, especially for internal candidates. In this instance, the BAC nominated Prof. Ramugondo for the position. This candidate, a Black Professor was not invited to apply or contacted by the selection committee but took it upon herself to do so in any case. Of the five shortlisted candidates, three of whom were black South African, four were then deemed unappointable. This contradicts the shortlisting process that found them appointable in the first place. If applicants are not â€œappointableâ€ then how was such a shortlist reached? A full explanation of how candidates became unappointable has not been forthcoming. The use of such an unforgivable and humiliating terminology such as â€œunappointableâ€ is an example of the worst, crude and insensitive managerialism speak that unfortunately continues to characterise so many of our universities of late. Similarly, the UCT Institutional Forum, another consultative committee, which deliberates especially on issues of transformation, deliberated and decided to support the recommended appointment. However, since it was the same constituencies who ratified the process in the selection committee and were represented in this Forum, they simply needed to agree with themselves. Likewise, the same members of council, Â who were on the committee could vote again in the final stage of ratifying and confirming the appointment. Prof. Ramugondo was asked to co-chair the Curriculum Change Working Group and there has been no engagement with the report, which provides a curriculum change framework, since it was released a few months ago. Curriculum change is key to the transformation agenda. If this framework is trivial to UCT, then was Prof. Ramugondo and all members of the CCWG used simply to pacify black students and staff? Why is all of this work not being taken seriously? This is another example of how black staff at UCT are frustrated and are used. The sense of futile labour and the indifference the university shows â€“ lies at the core of the crisis of emotional and psychological well-being at UCT. It is hard to not see this as an example of the insidious racism at UCT. 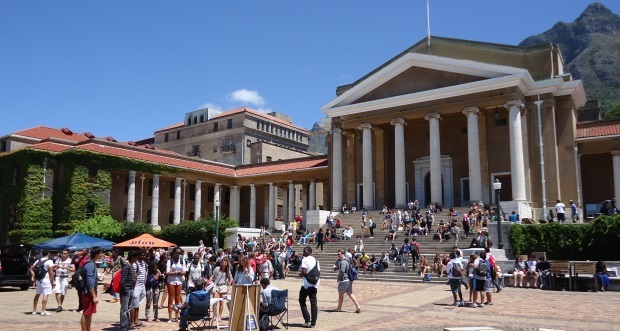 The detail and experiences of institutional racism, often less visible to those outside academia, shows how the DVC T&L appointment process at UCT undermined the due process required for achieving employment equity and advancing the transformation agenda. UCT is a public university that should be accountable for building an inclusive culture and engaging in equitable processes in order to lead change. This is in line with the strategic plan of the university, instead this appointment contradicts the UCT Strategic plan and vision. The guise of transparency through consultation is misleading and instead affirms biased decision making processes where a decision is made to not only appoint a non-equity candidate, but also to resist appointing a candidate with an excellent track record in leading transformation and decolonisation of teaching and learning. To fight this injustice, the BAC has begun a legal campaign as part of its broader struggle against institutional racism.